On Oct. 17, I introduced the gold/silver ratio, a tool used to identify the relative values of these metals to each other. The ratio is calculated by dividing the current gold price per ounce by the current silver price per ounce. And I said I expect it to trend downward over time. 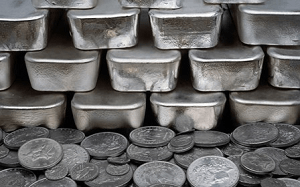 Let's take a look at the reasons why the gold/silver ratio will drop – and what it means for silver prices in particular. During the 2008-2009 financial crisis, the gold price dropped to $720 and the silver price to $9, spiking the gold/silver ratio to 80. This level had only been seen once before in this current metals bull market, which began in 2001. Since then, there's been no lack of action, to be sure. 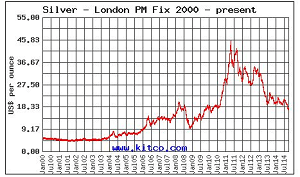 From the lows of $9 for silver in 2008, it steadily worked its way up to about $18 over two years. Then it exploded even higher. 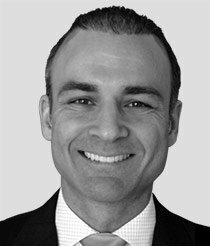 In fall 2010, as silver still traded at $21, I made the case for silver surging much higher to reach near the $27 level, a triple from its 2008 lows. Silver did make it to $27, but it didn't stop there – not even close. Instead, silver prices climbed all the way to $49.76 by April 2011, eclipsing their previous high of $49.25 (reached in 1980) in a short span of just seven months. But since then silver's been in a major correction/consolidation phase. After gold peaked a few months later in September 2011 at $1,900, silver traded sideways in the $25 to $35 range. When gold sold off strongly in early 2013, silver followed, eventually trading in a range between $18 and $23. More recently, silver has again taken its cue from gold, weakening to just above the $17 level.